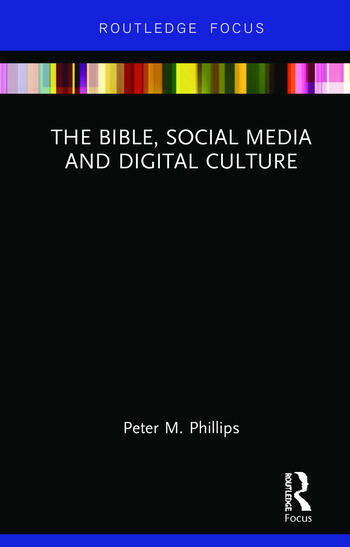 This book centres on the use of the Bible within contemporary digital social media culture and gives an overview of its use online with examples from brand new research from the CODEC Research Centre at Durham University, UK. It examines the shift from a propositional to a therapeutic approach to faith from a sociological standpoint. The book covers two research projects in particular: the Twitter Gospels and Online Moralistic Therapeutic Deism. It explores the data as it relates to Abby Day’s concept of performative belief, picking up on Mia Lövheim’s challenge to see how this concept works out in digital culture and social media. It also compares the data to various construals of contemporary approaches to faith performative faith including Christian Smith’s concept of ‘Moralistic Therapeutic Deism’. Other research is also compared to the findings of these projects, including a micro-project on Celebrities and the Bible, to give a wider perspective on these issues in both the UK and the US. As a sociological exploration of digital millennial culture and its relationship to sacred texts, this will be of keen interest to scholars of Biblical studies, religion and digital media and contemporary lived religion. Peter M. Phillips is a Research Fellow in Digital Theology and Director of the CODEC Research Centre at Durham University, UK. He has had many years’ experience of teaching and researching the New Testament, and now explores the interface between the digital and theological.